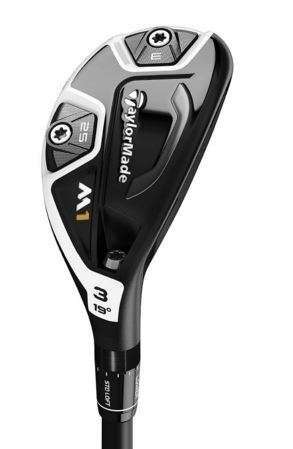 TaylorMade’s M1 Rescue hybrid follows the rest of the M1 line with a loft sleeve that adjusts loft angle, face angle and lie in twelve different positions. Two movable weights — a three gram and a 25 gram — can be shifted to create either a neutral or fade bias. Unlike the driver and fairway, however, the M1 Rescue has an integrated Speed Pocket.